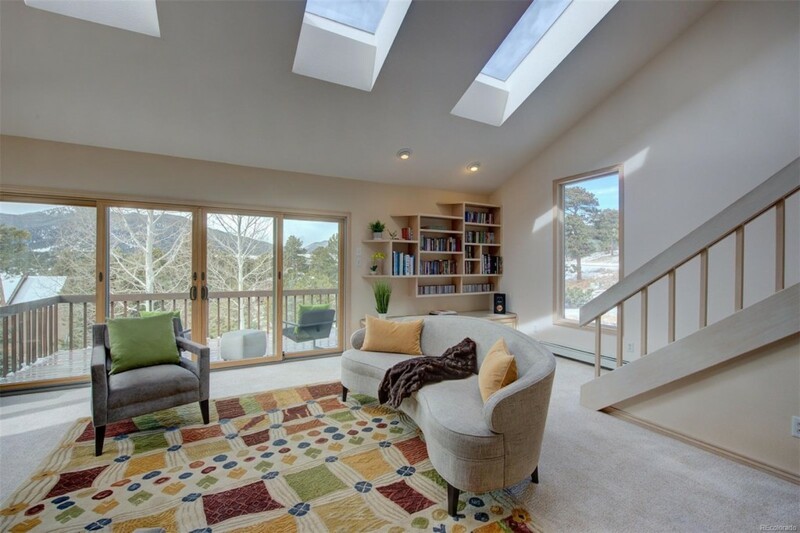 Sun drenched blonde Mountain Contemporary. 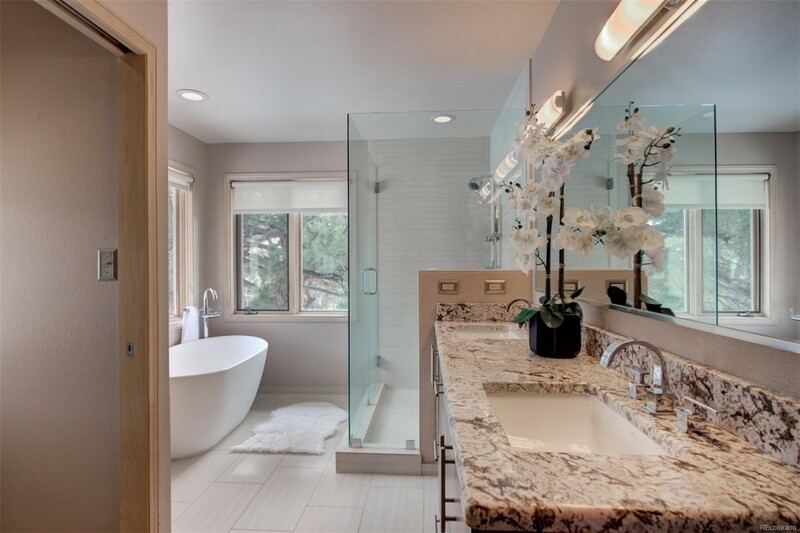 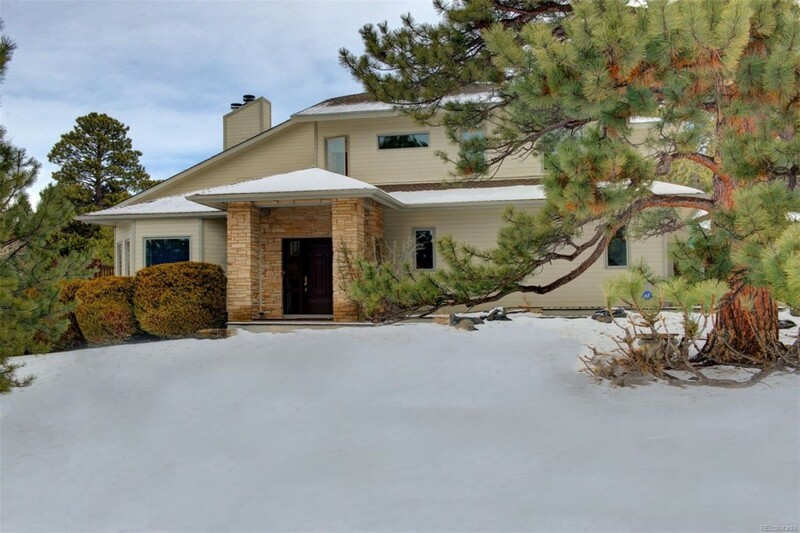 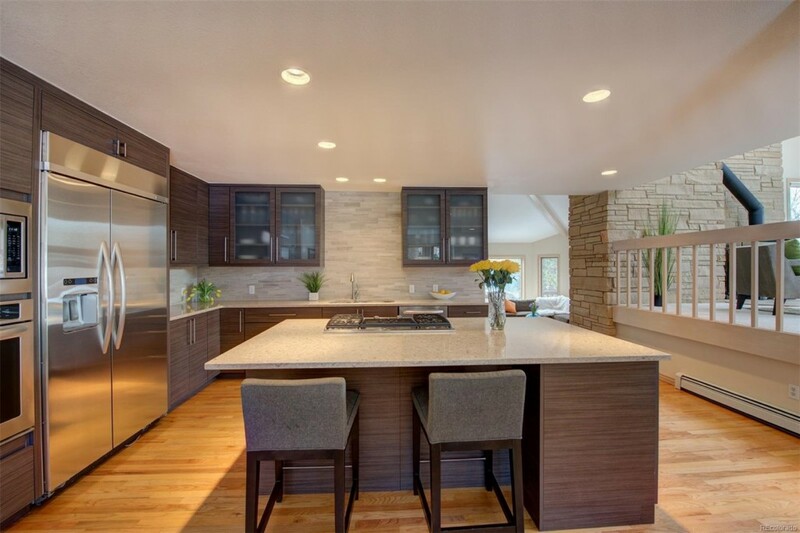 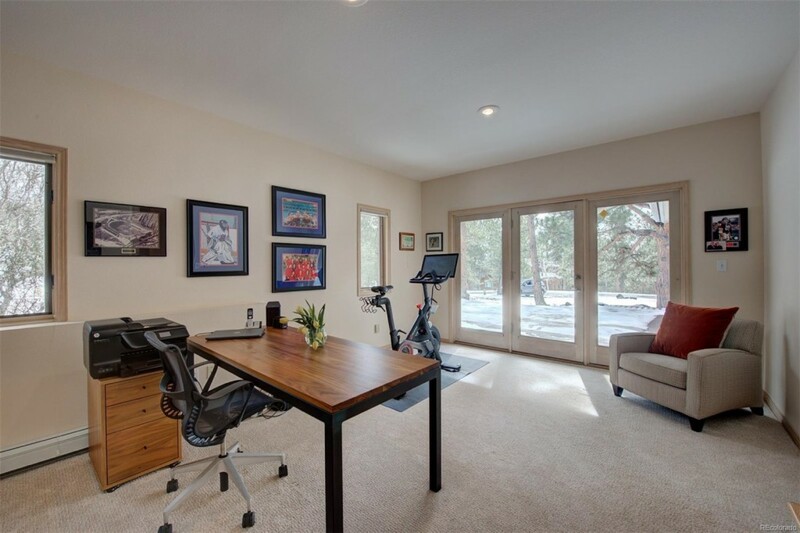 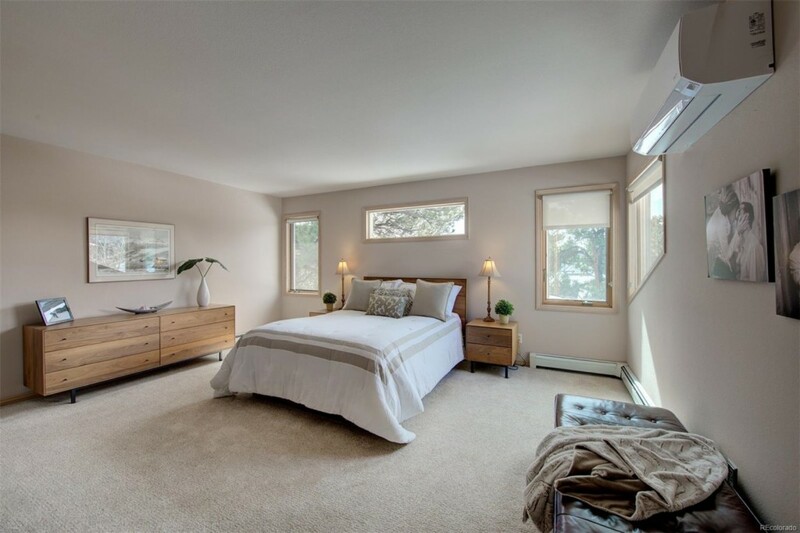 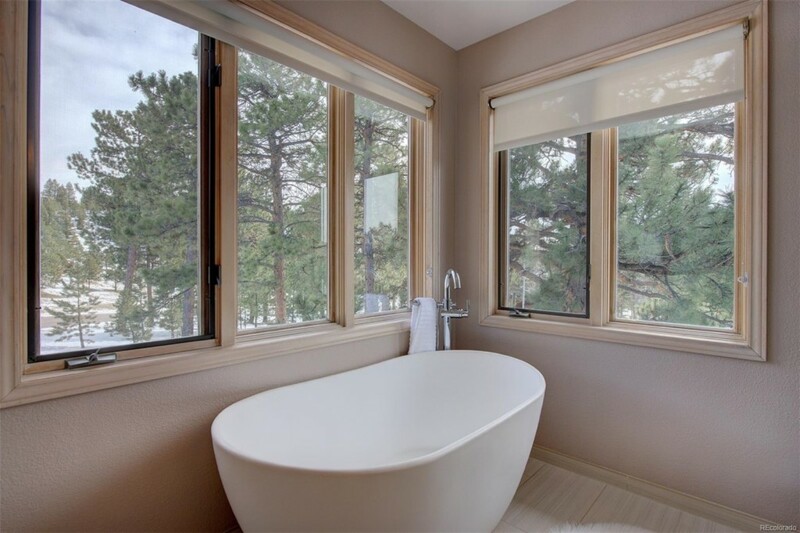 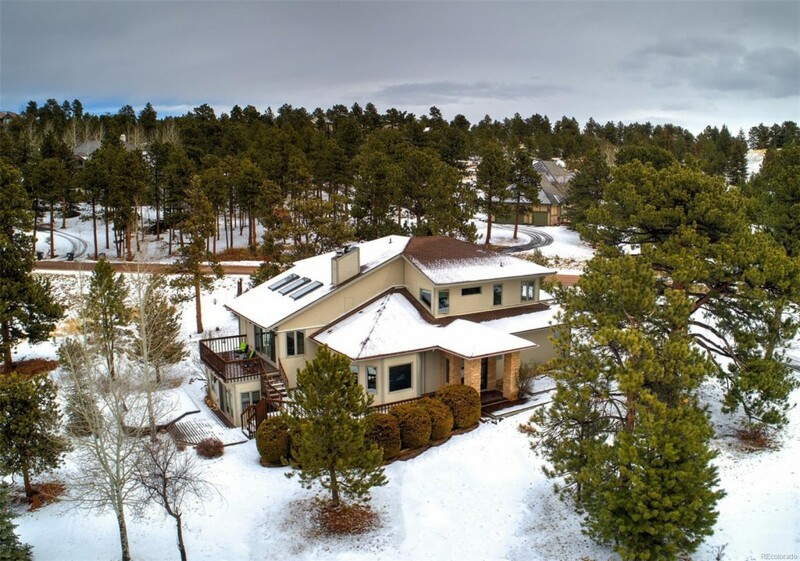 The Ridge at Hiwan(North Evergreen) offering .97 tree line acre on culdesac with privacy and mountain views from every angle of Hiwan Golf, Elk Meadow and Bergen Mountain. 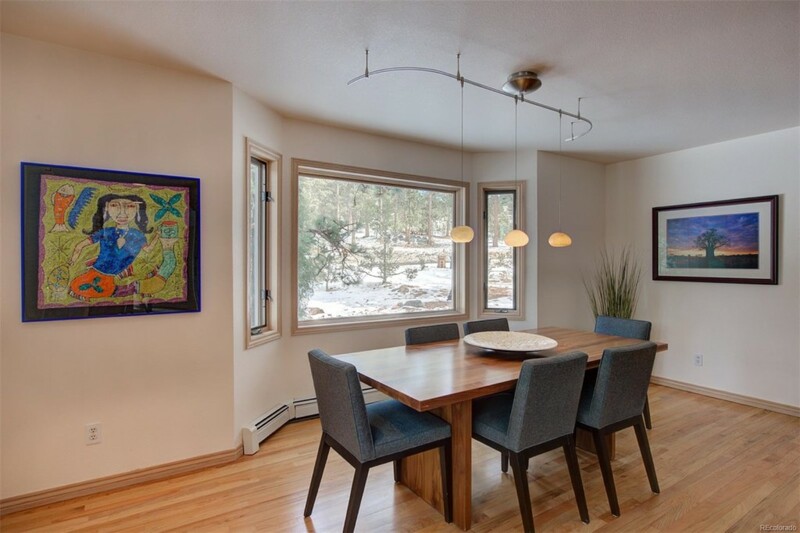 Sleek & timeless is turn key move in ready where you can enjoy easy mountain living and watch the stars! 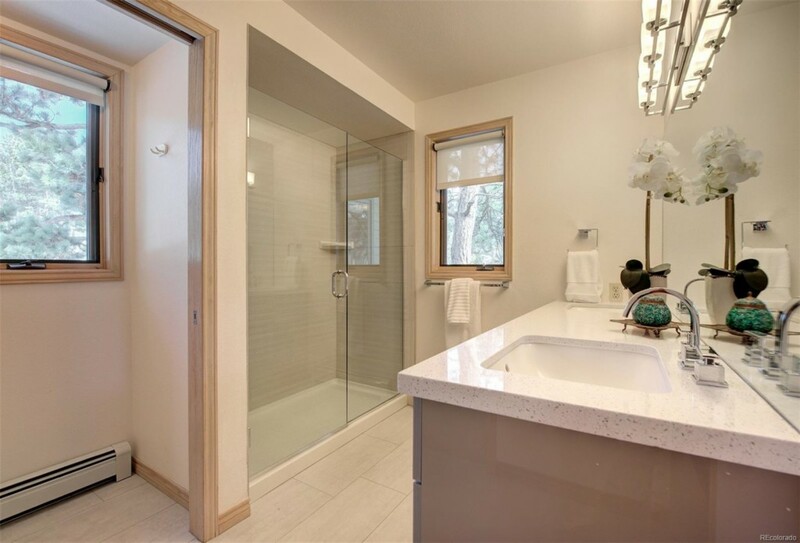 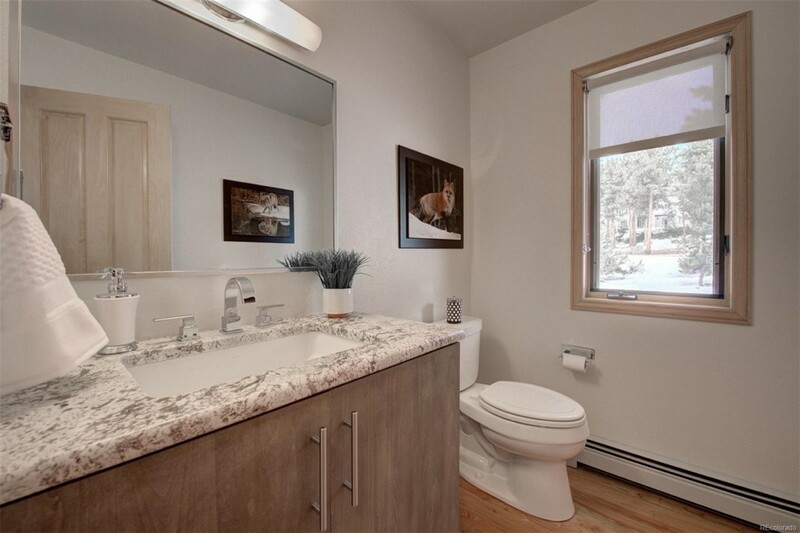 Top of the line recent remodeling including custom kitchen(quartz counters), master bath suite and all other bathrooms completely remodeled! 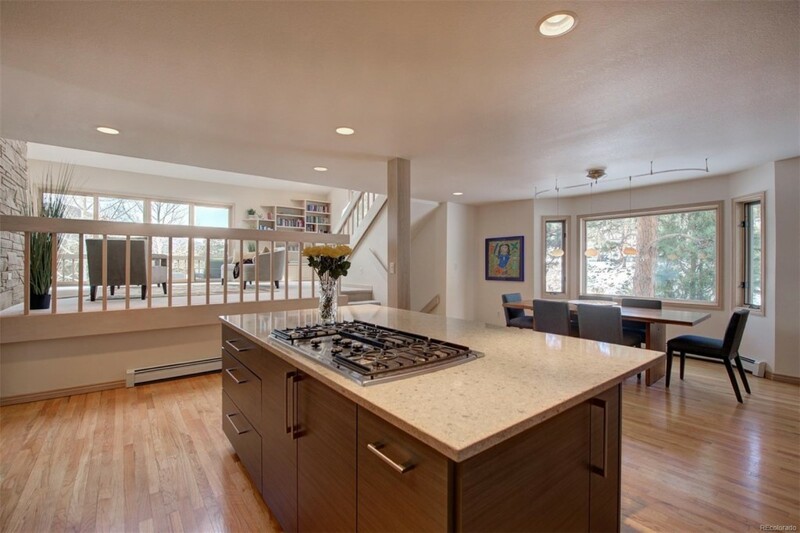 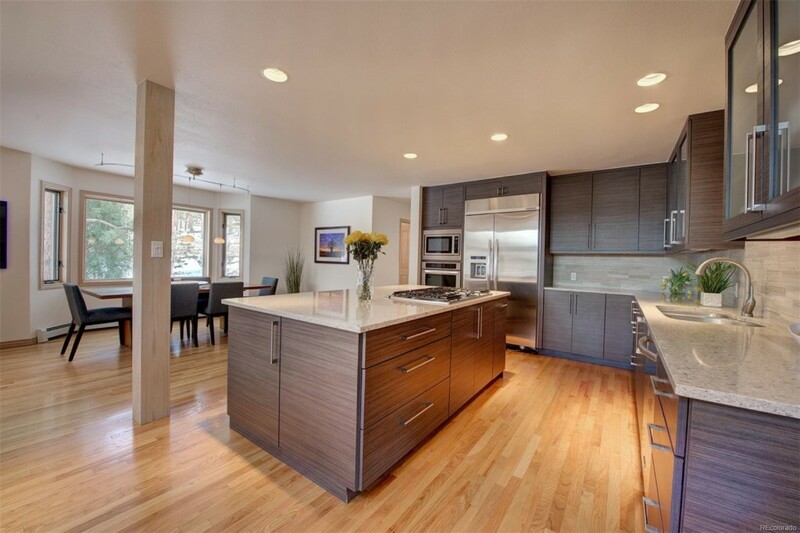 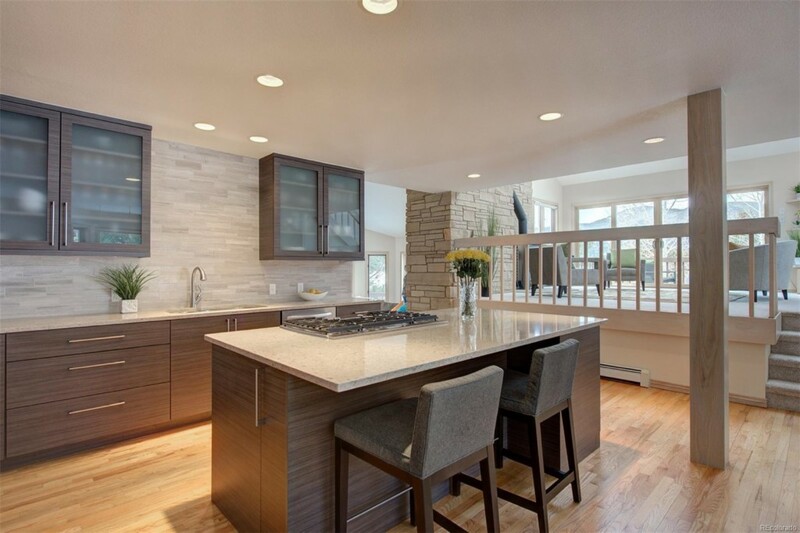 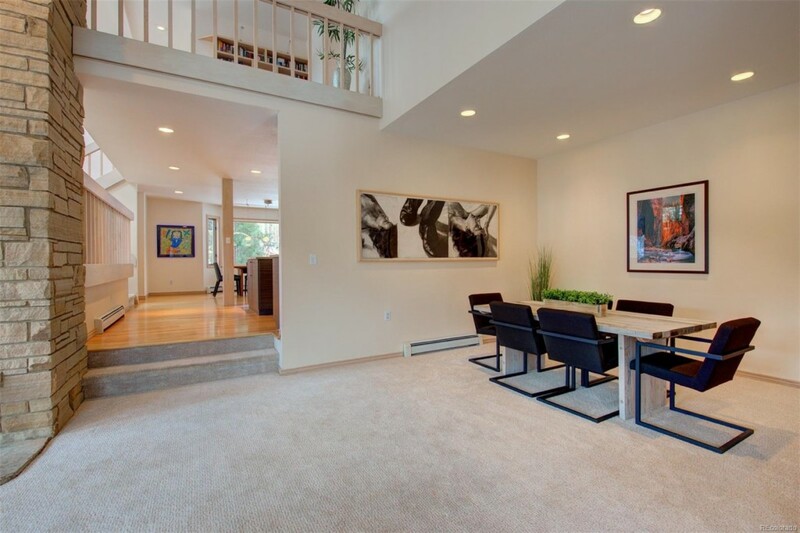 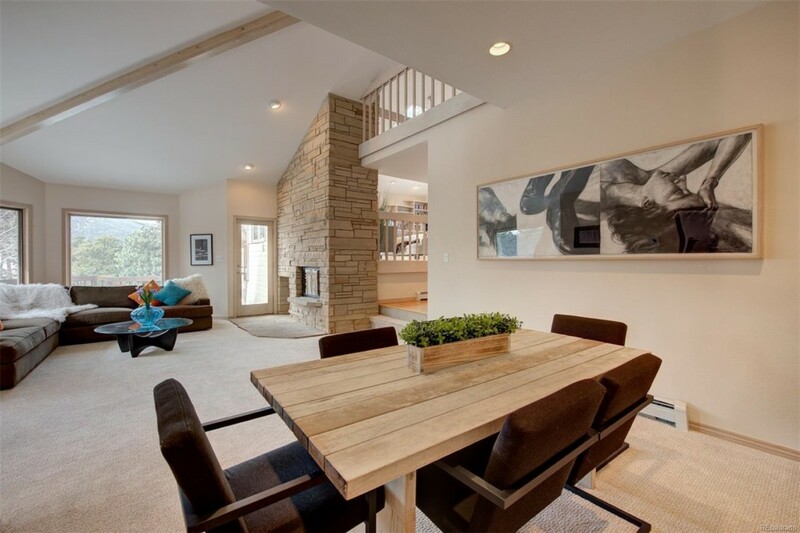 This 4 bedroom 3.5 bath has ample space for family life and loads of space for entertaining guests. 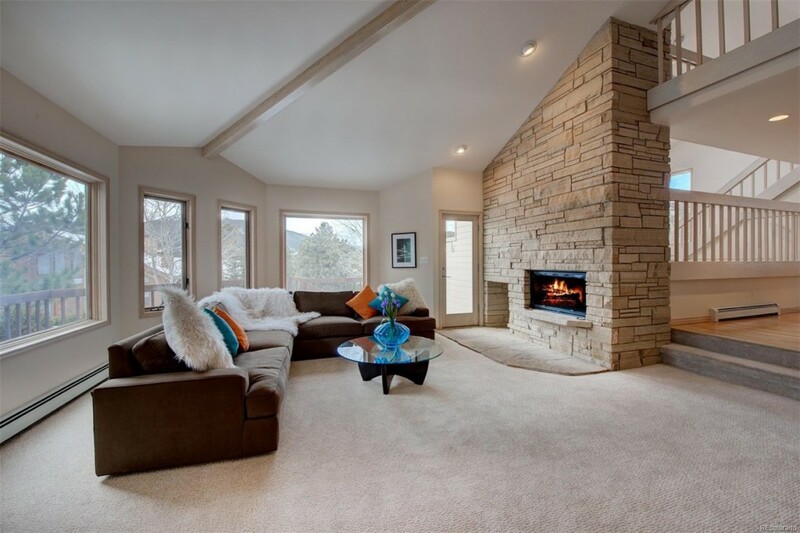 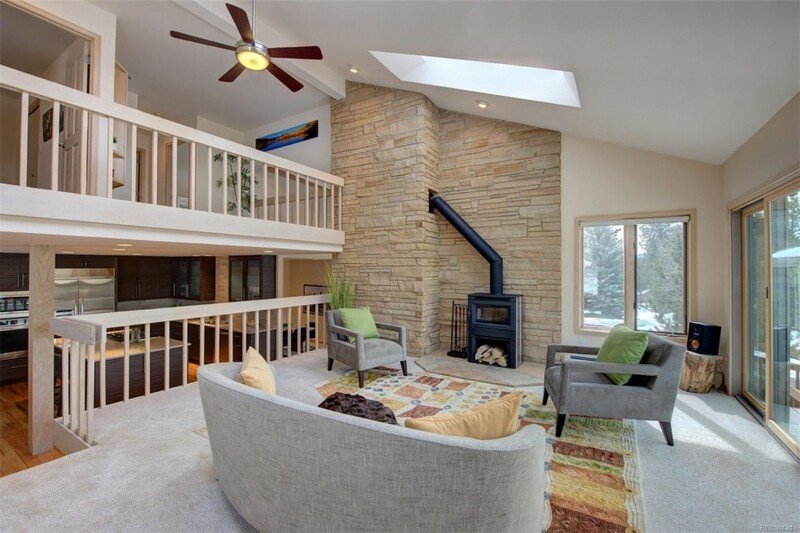 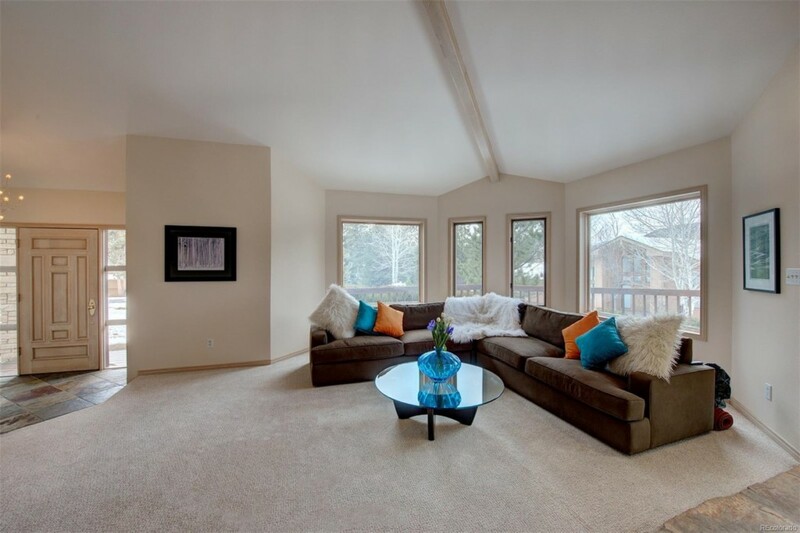 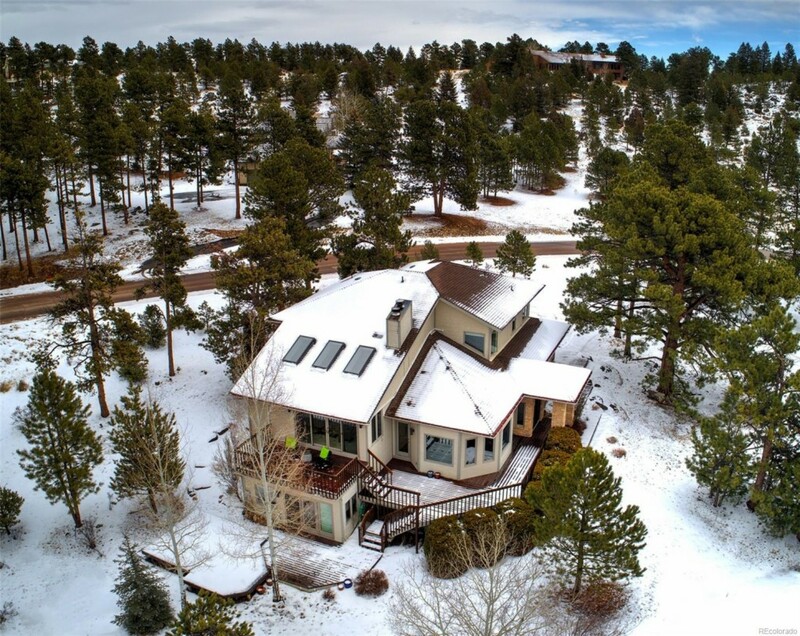 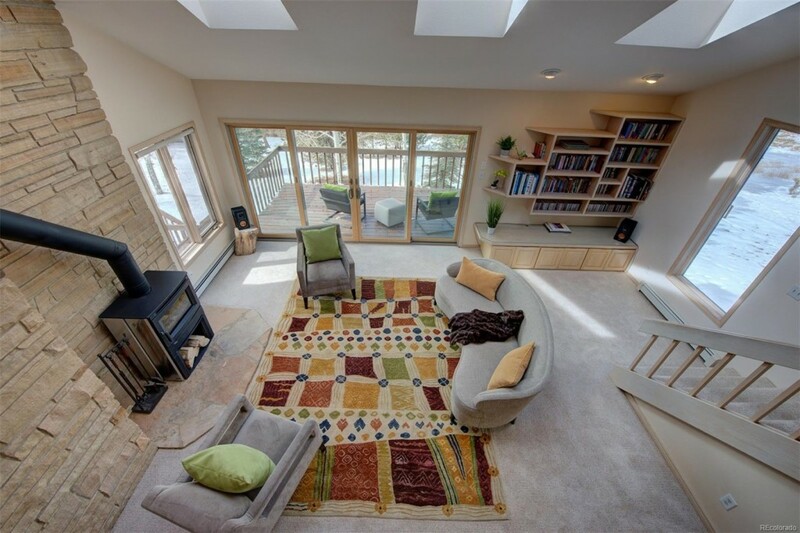 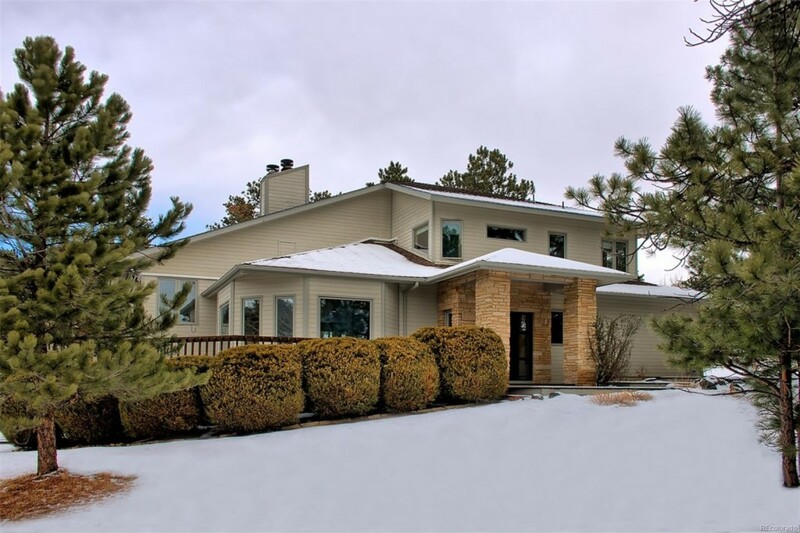 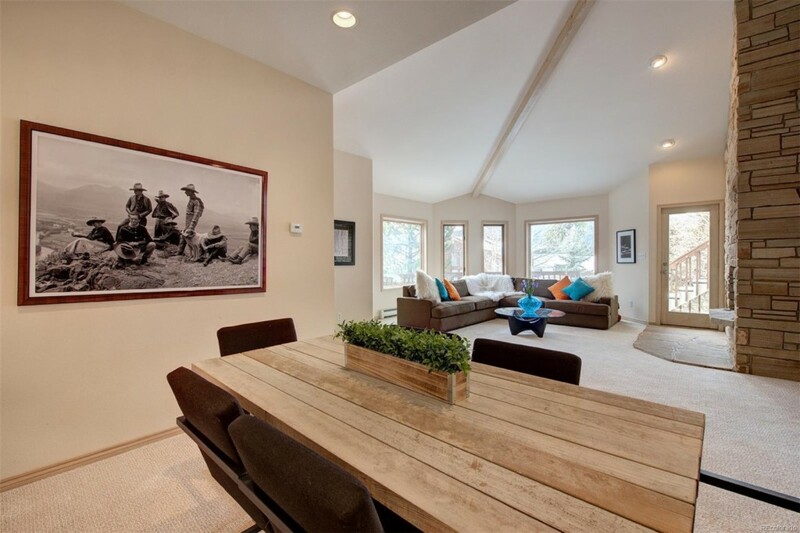 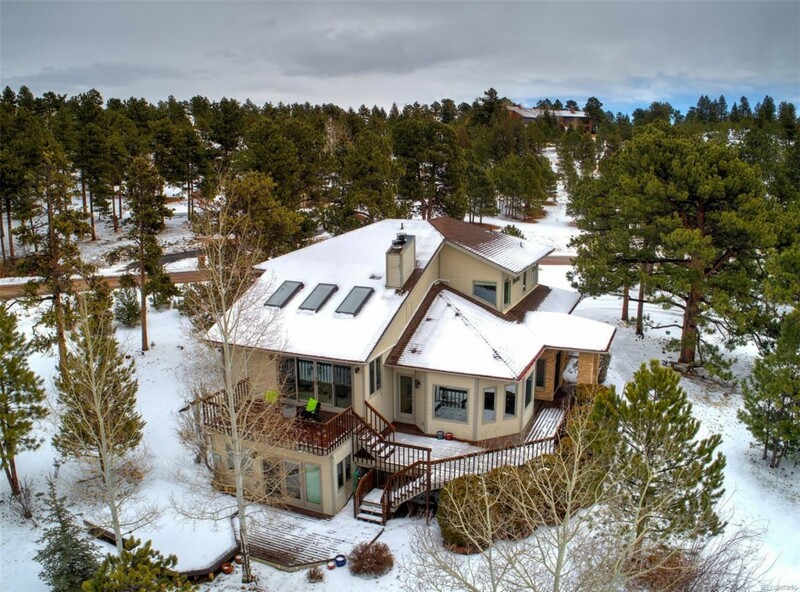 Cozy up to the wood burning stove in the living room looking over mountains and trees or enjoy your coffee in the family room with sky lights galore that make every day warm. 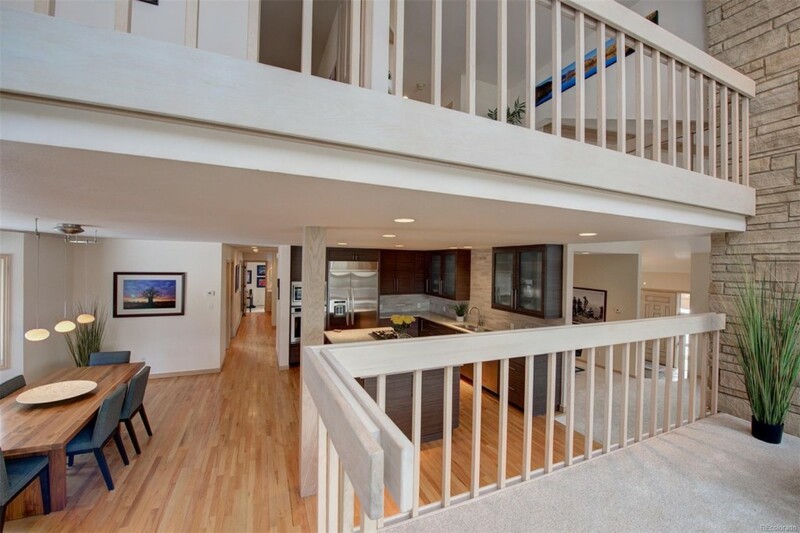 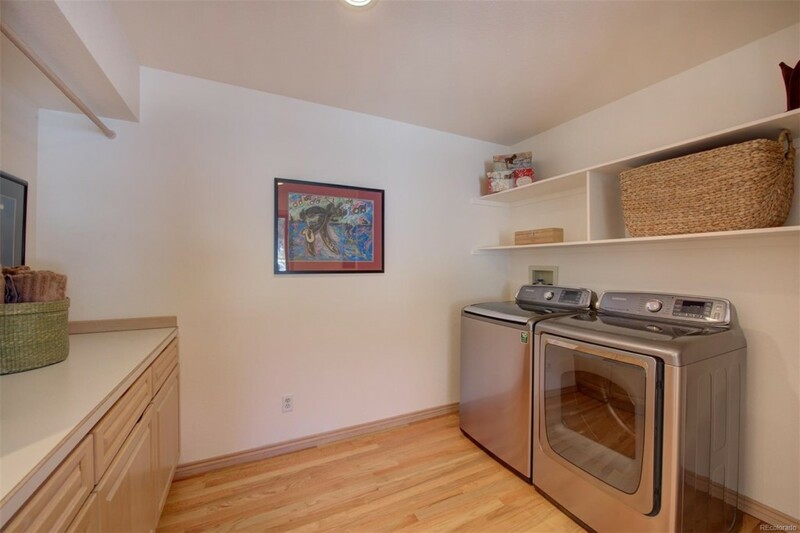 Easy natural flow open floor plan with expansive access to the decks from all living areas where the sky is the limit! 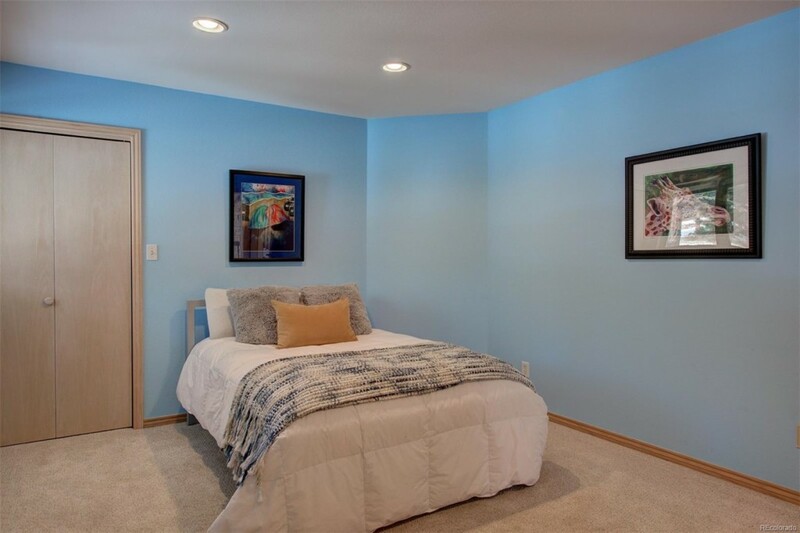 Bonus 4th bedroom can be used as a bonus entertaining area with walkout to decks and yard. 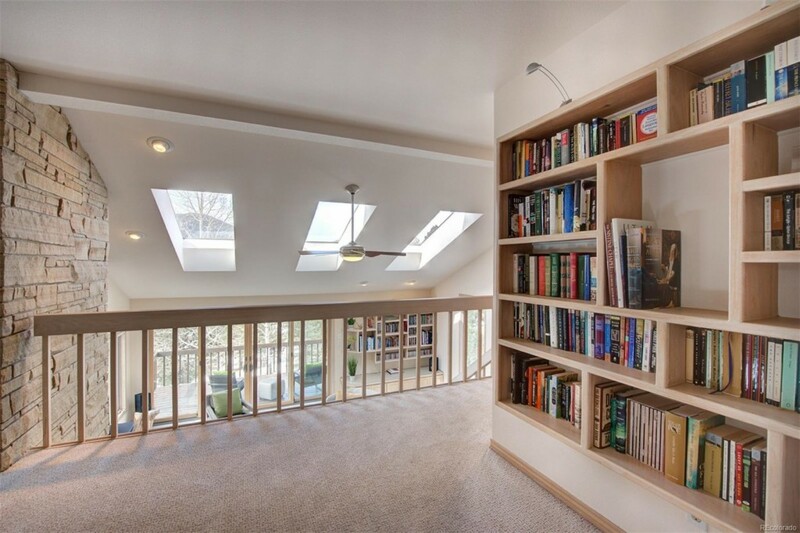 Come see the stars!